I was recently asked by a talented local poet if he could accompany his poem with one of my photographs. 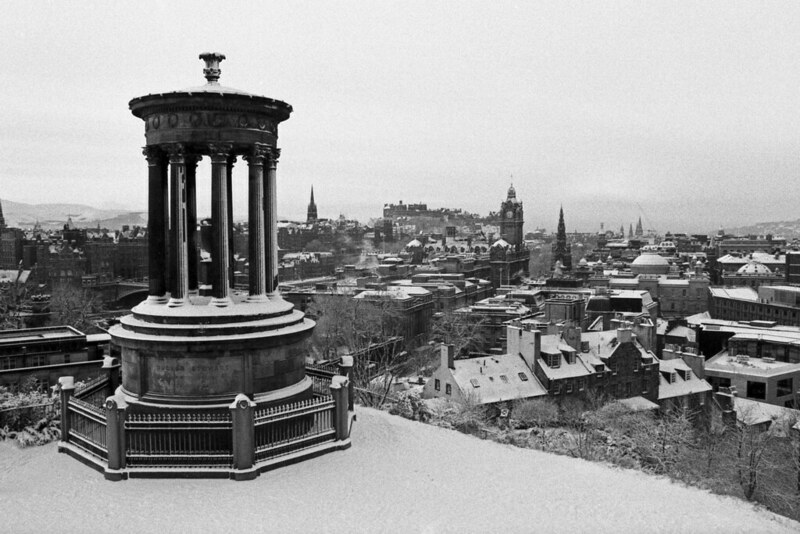 Last year he’d taken a walk up Calton Hill during the heavy snow we had and was inspired to write this poem. Around the same time I had also walked up and had taken photos of the scene from the top. When I read the poem, there was no question; it reminds me of the day I took these photographs and how I felt once reaching the top. We groan in mild despair. dissipates the grey of the city. a kind gesture of distant December honesty. I turn and smile at the city lulled. and ease of unravelling tales. muffled by the slush of Scottish spine. If you would to read more of Alan’s poems then you can visit his blog at www.waddellpoetry.com.